Lexington, consolidated with Fayette County and often denoted as Lexington-Fayette, is the second-largest city in Kentucky and the 60th-largest city in the United States. By land area, Lexington is the 28th largest city in the United States. Known as the "Horse Capital of the World," it is the heart of the state's Bluegrass region. It has a nonpartisan mayor-council form of government, with 12 council districts and three members elected at large, with the highest vote-getter designated vice mayor. In the 2017 U.S. Census Estimate, the city's population was 321,959, anchoring a metropolitan area of 512,650 people and a combined statistical area of 856,849 people. As of 2018 [update] Stapleton has amassed credits writing and co-writing over 170 songs. He has co-written six number-one country songs  including Kenny Chesney's five-week number-one "Never Wanted Nothing More", George Strait's "Love's Gonna Make It Alright", and Luke Bryan's "Drink a Beer". 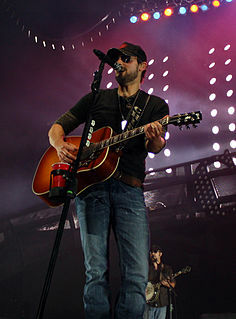 His songs have appeared on many artists albums including Adele, Brad Paisley, and Dierks Bentley. He has co-written with several artists as well including Vince Gill, Peter Frampton, and Sheryl Crow. Stapleton has been recognized with several awards including five Grammy Awards, seven Academy of Country Music (ACM) Awards, and ten Country Music Association (CMA) Awards. Kenneth Arnold Chesney is an American country music singer, songwriter, and record producer. He has recorded 20 albums, 14 of which have been certified Gold or higher by the RIAA. He has also produced more than 40 Top 10 singles on the US Billboard Hot Country Songs and Country Airplay charts, 29 of which have reached number one. Many of these have also charted within the Top 40 of the US Billboard Hot 100, making him one of the most successful crossover country artists. He has sold over 30 million albums worldwide. "Never Wanted Nothing More" is a song written by Ronnie Bowman and Chris Stapleton and recorded by American country music artist Kenny Chesney. It was released in June 2007 as the first single from Chesney’s 2007 album Just Who I Am: Poets & Pirates. To date, it is his fastest-climbing number one single, reaching the top of the U.S. Billboard Hot Country Songs chart on its eighth chart week. George Harvey Strait Sr. is an American country music singer, songwriter, actor, and music producer. George Strait is known as the "King of Country" and is considered one of the most influential and popular recording artists of all time. He is known for his neotraditionalist country style, cowboy look, and being one of the first and main country artists to bring country music back to its roots and away from the pop country era in the 1980s. The SteelDrivers are a bluegrass band from Nashville, Tennessee. Members include fiddler Tammy Rogers, bassist Mike Fleming, guitarist Kelvin Damrell, mandolinist Brent Truitt, and banjoist Richard Bailey. The band has recorded four albums on the Rounder Records label and one independent live album recorded at The Station Inn. Traveller is the debut studio album by American singer-songwriter Chris Stapleton. The album was produced by Dave Cobb and Stapleton, and was released on May 5, 2015, through Mercury Nashville. Staffordsville is an unincorporated community in Johnson County, Kentucky, United States. The community was originally named Frew and the first post office was established on July 14, 1882, with Millard F. Rule as postmaster but in 1893, postmistress Jessie Stafford changed the post office's name to "Staffordsville" in order to honor her family. Staffordsville's ZIP code is 41256. 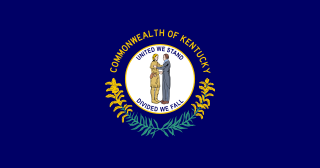 Paintsville is a home rule-class city along Paint Creek in Johnson County, Kentucky, in the United States. It is the seat of its county. The population was 3,459 during the 2010 U.S. Census. Johnson Central High School is a public secondary school located at 257 North Mayo Trail on the northwest side of Paintsville, Kentucky, United States. The school serves as the Johnson County School District's consolidated high school. Sea Gayle Music is an independent music publishing company based in Nashville, Tennessee in the United States. It was formed in 1999 by songwriter Chris DuBois, songwriter/producer Frank Rogers, and songwriter/artist Brad Paisley. In 2010 and 2011, Sea Gayle Music was named ASCAP Country Publisher of the Year. This is the first time since 1982 that an independent music publishing company has won this award. Sea Gayle Music is also the parent company to the record label Sea Gayle Records. Stapleton is married to singer-songwriter Morgane Stapleton, who co-wrote Carrie Underwood's 2006 single "Don't Forget to Remember Me". She had a recording deal with Arista Nashville. The couple met when they were working at adjacent publishing houses. They have four children and live in Nashville. In October 2017, the couple announced they were expecting twins. On April 15, 2018, (Stapleton's 40th birthday), host Reba McEntire announced live on the 53rd Academy of Country Music Awards that twin boys Macon and Samuel had been born to the Stapletons. At his concert at Madison Square Garden on November 2, 2018, Stapleton announced that he and his wife were expecting their fifth child; he repeated the announcement at the Country Music Association awards on November 18, 2018. Carrie Marie Fisher is an American singer, songwriter, and actress. She rose to fame as the winner of the fourth season of American Idol in 2005. Her debut single, "Inside Your Heaven", is the only country song to debut at number one on the US Billboard Hot 100. Her debut album, Some Hearts, was released in 2005. Bolstered by the huge crossover success of the singles "Jesus, Take the Wheel" and "Before He Cheats", it became the best-selling solo female debut album in country music history, the fastest-selling debut country album in Nielsen SoundScan history and the best-selling country album of the last 16 years. Underwood won three Grammy Awards for the album, including Best New Artist. The Band Perry is a music group composed of siblings Kimberly Perry, Reid Perry, and Neil Perry. They signed to Republic Nashville in August 2009 and released their self-titled debut album on October 12, 2010. From this album, "If I Die Young" reached number one on the U.S. Billboard Hot Country Songs and Hot Adult Contemporary Tracks charts and has been certified 6x multi-platinum. Their second album, Pioneer, was released April 2, 2013. It produced additional number one singles in "Better Dig Two" and "Done", plus the top 10 hits "Don't Let Me Be Lonely" and "Chainsaw". The band transitioned to pop in 2017 and began to release music independently in 2018. Colden Rainey Swindell is an American country music singer and songwriter. Swindell has written singles for Craig Campbell, Thomas Rhett, Scotty McCreery, and Luke Bryan, and has released three albums for Warner Bros. Records Nashville. He has released nine singles, of which seven have charted within the Top 5 of Hot Country Songs and/or Country Airplay. Kelsea Nicole Ballerini is an American country pop singer and songwriter. She released her first album The First Time in 2015, and her second album Unapologetically was released on November 3, 2017. She received a nomination for Best New Artist at the 2017 Grammy Awards. Ballerini's two albums have accounted for seven charted songs on the Hot Country Songs and Country Airplay charts. She has four No. 1 singles on the latter, starting with her debut single "Love Me Like You Mean It", which made her the first female artist to send a debut single to the top of that chart since Carrie Underwood in 2006. It was followed by "Dibs" and "Peter Pan", whose peaks also made her the first female country artist to send her first three singles to the top of that chart since Wynonna Judd. Ballerini's fourth No. 1 single is "Legends". Dave Cobb is an American record producer who is based in Nashville, Tennessee, best known for producing the work of country acts such as Sturgill Simpson, Chris Stapleton, Jamey Johnson, Shooter Jennings, Colter Wall, Zac Brown Band, Lori McKenna, Brandi Carlile, Anderson East and Jason Isbell. Maren Larae Morris is an American country music singer, songwriter, and record producer. She has released four studio albums. Her 2015 extended play, Maren Morris, charted on two Billboard charts. Her major label debut album, Hero, reached number five on the Billboard 200 chart and number one on the Top Country Albums chart. "Nobody to Blame" is a song recorded by American singer-songwriter Chris Stapleton. The song was released in November 2015 as the singer's third single overall. Stapleton co-wrote the song with Barry Bales and Ronnie Bowman. It became Stapleton's first top 10 single on the US Country Airplay chart. "Nobody to Blame" won Song of the Year at the ACM Awards. "Parachute" is a song recorded by American singer-songwriter Chris Stapleton. It is the third single from his debut album Traveller. The song was written by Stapleton and Jim Beavers. American singer-songwriter Chris Stapleton has released three studio albums and eight singles. His debut solo album, Traveller, was released on May 5, 2015 by Mercury Nashville. It reached number one on the US Billboard 200 and was certified triple platinum by the Recording Industry Association of America (RIAA) and gold by Music Canada. Its album track "Tennessee Whiskey" was certified quadruple Platinum in the US and reached the top 20 on the Billboard Hot 100, while the single "Nobody to Blame" reached the top 10 on the US Country Airplay chart. Stapleton's second studio album From A Room: Volume 1 was released on May 5, 2017, and Volume 2, on December 1. Traveller and Volume 1 were the best-selling country albums of 2016 and 2017, respectively. Volume 1 and Volume 2 both debuted at number two on the Billboard 200. Morgane Stapleton, is an American singer-songwriter and the wife of Chris Stapleton. She performs background, harmony and duet vocals in Stapleton's band and was instrumental in the creation of his debut album Traveller. A songwriter in her own right, she has written material that has been recorded by Carrie Underwood, Kellie Pickler and LeAnn Rimes among others and also appeared as a background session vocalist on records by Underwood, Pickler, Dierks Bentley and Joe Nichols. "Fire Away" is a song recorded by American singer-songwriter Chris Stapleton for his studio album Traveller (2015). It was written by Stapleton and Danny Green. The song's accompanying music video was released on February 26, 2016. "Either Way" is a song written by Chris Stapleton, Tim James and Kendell Marvel. It is the first single off Stapleton's 2017 album From A Room: Volume 1. The song was first recorded by Lee Ann Womack for her album Call Me Crazy. It won the award for Best Country Solo Performance at the 60th Grammy Awards. 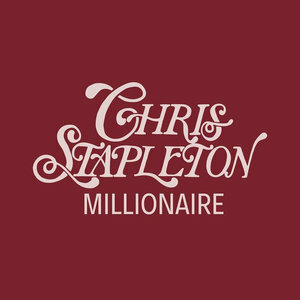 "Millionaire" is a song recorded by American singer-songwriter Chris Stapleton for his third studio album From A Room: Volume 2 (2018). It was written by Kevin Welch in 2002, and soul singer Solomon Burke included it on his 2006 country music tribute album Nashville. ↑ "CHRIS STAPLETON". grammy.com. Retrieved January 25, 2018. ↑ "Songwriter/Composer: Stapleton Christopher Alvin". BMI . Retrieved July 9, 2017. 1 2 Casey, Jim (November 26, 2015). "Chris Stapleton: The Trendsetter". Nash Country Weekly . Retrieved November 30, 2015. 1 2 Doyle, Patrick (December 2, 2015). "Chris Stapleton on Meeting Bill Murray, 'Wonderfully Strange' Number One LP". Rolling Stone . Retrieved December 3, 2015. 1 2 Lewis, Randy (November 27, 2015). "Chris Stapleton capitalizes on newfound fame at El Rey show". Los Angeles Times . Retrieved November 1, 2016. 1 2 "Chris Stapleton Bio". umgnashville.com. Universal Music Group (UMG) Nashville. Retrieved August 2, 2018. ↑ ""Love's Gonna Make It Alright" #1 Party". ASCAP . May 4, 2012. Retrieved September 11, 2015. ↑ Casey, Jim (April 29, 2015). "Chris Stapleton: Nashville's Best-Kept Secret". Nash Country Weekly . Retrieved September 11, 2015. ↑ Geller, Wendy (August 8, 2014). "Chris Stapleton: Man of Few Words, Lots of Great Songs". Rolling Stone . Retrieved September 11, 2015. 1 2 Philbrook, Erik (July 23, 2015). "Hit Nashville Writer Chris Stapleton Hits the Road with Solo Debut". ASCAP . Retrieved September 11, 2015. 1 2 Tunis, Walter (May 2, 2015). "Lexington native Chris Stapleton, a country singer-songwriter, readies his solo debut". Kentucky.com. Retrieved May 28, 2017. ↑ Whitaker, Sterling (7 October 2013). "Chris Stapleton's Father Passes Away". The Boot. ↑ "Herbert J. Stapleton, Jr. 1946 - 2013 Obituary". Jones-Preston Funeral Home. 1 2 Halsey, Derek (August 24, 2015). "Kentucky native Chris Stapleton kicks off Kentucky Music Trail Concert Series". The Herald-Dispatch . Retrieved September 11, 2015. 1 2 Orr, Dacey (April 29, 2015). "Chris Stapleton: Firing Away". Paste . Retrieved September 11, 2015. ↑ "Herbert Joseph Stapleton - Kentucky, Vital Record Indexes". FamilySearch . Retrieved September 9, 2015. ↑ "Melanie Brooke Stapleton - Kentucky, Vital Record Indexes". FamilySearch . Retrieved September 9, 2015. ↑ Shelburne, Craig (July 21, 2014). "The Unsung Heroism Of Chris Stapleton". American Songwriter . Retrieved September 11, 2015. ↑ Clinch, Danny (April 3, 2016). "Chris Stapleton: "Built Here" Longform". Ram Trucks . Retrieved April 4, 2016. ↑ Moore, Rick (December 3, 2010). "Nashville Songwriter Series: Chris Stapleton". American Songwriter . Retrieved September 11, 2015. ↑ Leahey, Andrew (November 4, 2015). "Chris Stapleton: The Natural". American Songwriter . Retrieved November 5, 2015. ↑ "Making It In Nashville: The Jompson Brothers' Chris Stapleton". American Songwriter . November 5, 2010. Retrieved September 11, 2015. ↑ Schlansky, Evan (August 11, 2010). "Zac Brown Band Pick Jompson Brothers For Sailing Southern Ground Cruise". American Songwriter . Retrieved October 28, 2010. ↑ "The Jompson Brothers -The Jompson Brothers". Amazon. November 30, 2010. ASIN B004FA0IJO. 1 2 Caramanica, Jon (February 20, 2015). "Chris Stapleton's 'Traveller' to Be Released This Spring". The New York Times . Retrieved September 11, 2015. ↑ Morton Jr., Ken (June 15, 2015). "In The Moment with Chris Stapleton – An Interview on "Traveller"". Saving Country Music. Retrieved September 11, 2015. 1 2 Dauphin, Chuck (April 30, 2015). "Chris Stapleton's Debut Album 'Traveller' Inspired by 'Soul-Searching' Road Trip". Billboard . Retrieved September 11, 2015. ↑ "Valentine's Day [Original Motion Picture Soundtrack]". ↑ "Alvin and the Chipmunks: The Road Chip [Original Motion Picture Soundtrack]". ↑ "Hell Or High Water (Original Motion Picture Soundtrack)". ↑ Crouch, Ian (November 5, 2015). "Has Chris Stapleton Cracked the Country Code?". The New Yorker . Retrieved November 18, 2015. ↑ Ganz, Jacob (November 5, 2015). "Tiny Desk: Chris Stapleton". NPR . Retrieved November 18, 2015. ↑ Anderson, Danielle (December 3, 2014). "Luke Bryan Thanks Lady A and Fans After Emotional Tribute Performance". People . Retrieved September 11, 2015. 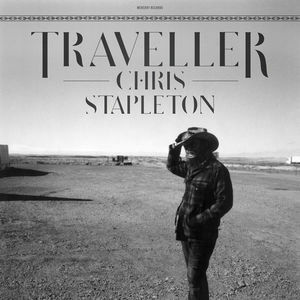 ↑ "Reviews and Tracks for Traveller by Chris Stapleton". Metacritic . Retrieved May 15, 2017. ↑ White, Caitlin (May 12, 2015). "Country Songwriter Chris Stapleton Copes With Loss on Triumphant Solo Debut: Album Review (4 stars)". Billboard . Retrieved September 11, 2015. ↑ "Music Review: Stapleton's Solo CD Takes Road Less Travelled". The New York Times . The Associated Press. May 5, 2015. Archived from the original on May 12, 2015. Retrieved September 11, 2015. ↑ Leight, Elias (May 6, 2015). "Chris Stapleton Shows His Inner Stax Soul Man at Album Release Party In New York: Live Review". Billboard . Retrieved September 11, 2015. 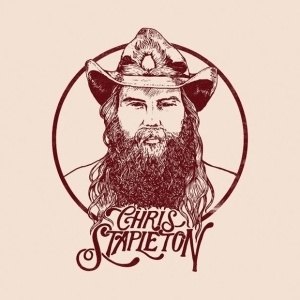 1 2 "Chris and Morgane Stapleton - Interview: Louisville Waterfront Park (Louisville, KY)". Paste . July 19, 2015. Retrieved November 18, 2015. 1 2 Thanki, Juli (May 2, 2015). "Heartaches, highways inspire Chris Stapleton's 'Traveller'". The Tennessean . Retrieved September 11, 2015. ↑ Dingfelder, Sadie (August 20, 2015). "Chris Stapleton writes songs, wife Morgane deems them worthy". The Washington Post . Retrieved September 11, 2015. ↑ Yahr, Emily (September 9, 2015). "CMA nominations: Chris Stapleton, Kacey Musgraves, Sam Hunt score nods as newcomers move in". The Washington Post . Retrieved September 9, 2015. ↑ Vain, Madison (November 7, 2015). "Chris Stapleton dishes on his Justin Timberlake collaboration". Entertainment Weekly . Retrieved November 9, 2015. ↑ Rogers, Katie (November 5, 2015). "Justin Timberlake Shows Crossover Appeal at C.M.A. Awards". The New York Times. Retrieved November 5, 2015. ↑ Moss, Marissa R. (November 4, 2015). "See Chris Stapleton and Justin Timberlake's Stunning CMA Awards Duet". Rolling Stone. Retrieved November 5, 2015. ↑ Roland Tom (November 1, 2016). "The CMA Awards' Golden Anniversary: 50 Years, 50 Highlights". Billboard. Retrieved November 2, 2016. ↑ "Chris Stapleton Tapped for CMT Artists of the Year Breakout Award". CMT. November 17, 2015. Retrieved November 18, 2015. ↑ Welch, Will (January 7, 2016). "Meet Three Country Badasses Who Are Shaking Up the Nashville Establishment". GQ . Retrieved January 10, 2016. ↑ Welch, Will (January 7, 2016). "The GQ&A: Meet Chris Stapleton, Country Music's Cinderella Story and Grammy Dark Horse". GQ . Retrieved January 10, 2016. ↑ Watts, Cindy (November 5, 2015). "CMA Awards: Stapleton, Little Big Town are winners". The Tennessean . Retrieved November 5, 2015. ↑ Grein, Paul (December 20, 2016c). "The Top-Selling Albums of 2016". Yahoo! Music . Retrieved May 15, 2017. ↑ Bjorke, Matt (July 10, 2017). "Top 10 Country Album Sales Chart: July 10, 2017". Roughstock. Retrieved July 11, 2017. ↑ Powers, Ann (February 18, 2016). "Songs We Love: Morgane Stapleton With Chris Stapleton, 'You Are My Sunshine'". NPR Music . Retrieved February 18, 2016. ↑ Powers, Ann (December 16, 2015). "An Outsider Remakes Nashville's Traditional Sound". NPR Music . Retrieved February 18, 2016. ↑ Dukes, Billy (September 20, 2016). "ToC Critic's Pick: Jake Owen (Feat. Chris Stapleton), 'If He Ain't Gonna Love You'". Taste of Country . Retrieved January 19, 2017. ↑ Strecker, Erin (January 5, 2016). "Chris Stapleton, Selena Gomez Set for 'Saturday Night Live'". Billboard . Retrieved January 5, 2016. ↑ Kruh, Nancy (February 10, 2016). "Luke Bryan Nurses a Super Hangover, Keith Urban Gets Funky and Eric Church Keeps It Old School at Star-Powered Event in Nashville". People . Retrieved February 10, 2016. ↑ Breihan, Tom (April 6, 2017). "Chris Stapleton Will Release Two Albums This Year". Billboard. Retrieved April 6, 2017. ↑ Tingle, Lauren (April 6, 2017). "Chris Stapleton Previews From a Room: Volume 1 in Nashville". CMT. Retrieved April 11, 2017. 1 2 Hudak, Joseph (April 4, 2017). "See Chris Stapleton Debut New 'Second One to Know' at ACM Awards". Rolling Stone. Retrieved April 3, 2017. ↑ "CMA Awards 2017: The Complete Winners List". Rolling Stone. November 9, 2017. Retrieved November 9, 2017. ↑ Crawford, Robert (November 30, 2017). "Chris Stapleton's 'From A Room: Volume 2': Track-by-Track Guide". Rolling Stone. Retrieved November 30, 2017. ↑ Watts, Cindy (October 14, 2017). "Chris Stapleton Announces Next Album in Nashville". The Tenneseean. Retrieved October 14, 2017. ↑ Caulfield, Keith (December 10, 2017). "U2 Scores Eighth No. 1 Album on Billboard 200 Chart With 'Songs of Experience'". Billboard. Retrieved December 10, 2017. ↑ Tingle, Lauren (January 25, 2018). "Justin Timberlake and Chris Stapleton's "Say Something" Says Everything". CMT. Retrieved January 25, 2018. ↑ Trust, Gary (February 5, 2018). "Drake's 'God's Plan' Still No. 1 on Hot 100, Justin Timberlake & Chris Stapleton's 'Say Something' Debuts in Top 10". Billboard. Retrieved February 6, 2018. ↑ Cardenas, Jamie A. (January 27, 2018). "Chris Stapleton and Sturgill Simpson perform 'Midnight Train to Memphis' on SNL". Tennessean. Retrieved January 28, 2018. ↑ Asker, Jim (March 20, 2018). "Chris Stapleton Claims First Country Airplay Leader With 'Broken Halos'". Billboard. Retrieved March 20, 2018. ↑ Atkinson, Katie (November 14, 2018). "Here Are All the Winners From the 2018 CMA Awards". Billboard. Retrieved November 16, 2018. ↑ Newman, Melinda (April 3, 2018). "Chris Stapleton Talks Covering Elton John for 'Restoration': Exclusive Amazon Music Preview". Billboard. Retrieved April 10, 2018. 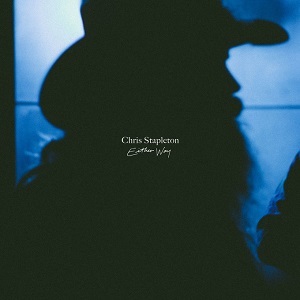 ↑ "About Chris Stapleton". CMT. Retrieved April 15, 2017. ↑ Powers, Ann (April 14, 2017). "Hear Chris Stapleton's First Single From His Forthcoming Album". NPR. Retrieved April 25, 2017. ↑ Flamming, E.C. (April 14, 2017). 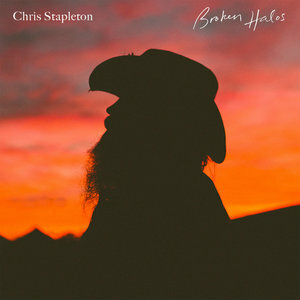 "Listen: Chris Stapleton Releases New Single "Broken Halos"". Paste. Retrieved April 26, 2017. ↑ "Biography". Billboard. Retrieved April 15, 2017. ↑ Smit, Owen R. (March 23, 2017). "Chris Stapleton brings back introspective, old-school country music". The Seattle Times . Retrieved April 15, 2017. ↑ "Chris Stapleton on Why Stunning New Album 'Traveller' Isn't for Kids". Roling Stone. May 7, 2015. Retrieved November 15, 2015. ↑ Crawford, Robert (May 4, 2017). "Chris Stapleton's 'From A Room: Volume 1': Track-by-Track Guide". Rolling Stone. Retrieved May 5, 2017. ↑ "Traveller on AllMusic" . Retrieved January 17, 2016. ↑ "From A Room: Volume 1 - Chris Stapleton — Songs, Reviews, Credits". AllMusic . All Media Network . Retrieved May 5, 2017. ↑ Hermes, Will (May 4, 2017). "Review: Chris Stapleton's Second Album Is Equal Parts Otis and Waylon". Rolling Stone. Retrieved May 5, 2017. ↑ Roberts, Randall (May 2, 2015). "Essential tracks: These Chris Stapleton, Samo Sound Boy works qualify". Los Angeles Times. Retrieved April 15, 2017. ↑ Domenighini, Annalise (December 18, 2015). "Country Superstar Chris Stapleton's Still Got the Blues". Vice . Retrieved April 15, 2017. ↑ Anderson, Danielle (September 9, 2015). "5 Things You Need to Know About Chris Stapleton". People . Retrieved September 11, 2015. ↑ "BMI Toasts Morgane Hayes for Writing Carrie Underwood Hit". CMT. December 2, 2006. Retrieved September 11, 2015. ↑ Caramanica, Jon (November 17, 2015). "Chris Stapleton Rides His Own Country Music Wave". The New York Times . Retrieved November 18, 2015. ↑ "Chris Stapleton and Wife Morgane Expecting Twins: 'Two More on the Way'". People. October 30, 2017. Retrieved November 4, 2017. ↑ Thanki, Juli (April 15, 2018). "ACM Awards 2018: Chris Stapleton wins Album of the Year, welcomes twin sons". The Tennessean. Retrieved April 16, 2018. ↑ "Chris Stapleton". Recording Academy. Retrieved November 29, 2017. ↑ "Grammy Awards Winners List: Updating Live". Variety. January 28, 2018. Retrieved January 28, 2018. ↑ "ACM Awards 2016: See the Full List of Winners". Billboard. April 3, 2016. Retrieved April 3, 2016. ↑ "CMA Award Winners 2016: Complete List". Billboard. November 2, 2016. Retrieved November 2, 2016. ↑ "Billboard Music Awards 2016: See the Finalists". Billboard. April 11, 2016. Retrieved April 11, 2016. ↑ "Here Are All the Winners From the 2018 Billboard Music Awards". Billboard. May 20, 2018. Retrieved May 20, 2018. ↑ Thorpe, Isha (March 5, 2017). "Here's The Complete List Of #iHeartAwards Winners". iHeartRadio . Retrieved March 5, 2017. ↑ Mastrogiannis, Nicole (March 11, 2018). "Thomas Rhett, Sam Hunt & More Take Home iHeartRadio Music Awards". iHeartRadio. Retrieved March 11, 2018. ↑ "2016 ASCAP Country Awards". ASCAP. Retrieved May 20, 2017. ↑ Sullivan, Lindsey (January 21, 2016). "Chris Stapleton & Hank Williams Jr. Announce Co-Headlining Summer Tour". Billboard. Retrieved December 20, 2017. ↑ Sullivan, James (May 1, 2015). "Chris Stapleton Captivates Eric Church Fans in Boston". Rolling Stone. Retrieved December 20, 2017. ↑ "Warren Haynes & Chris Stapleton Team For 'In The Pines'". JamBase . October 2, 2015. Retrieved April 12, 2018. ↑ Hudak, Joseph (July 10, 2016). "Chris Stapleton Wins Over Guns N' Roses Fans at Nashville Stunner". Rolling Stone. Retrieved December 20, 2017. ↑ "Chris Stapleton To Open for Tom Petty And The Heartbreakers". KIX 92.1. December 12, 2016. Retrieved December 20, 2017. ↑ "Eagles Add New Tour Dates, Tap Chris Stapleton and More as Opening Acts". Wide Open Country. November 21, 2017. Retrieved December 20, 2017. 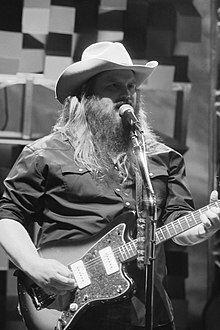 Wikimedia Commons has media related to Chris Stapleton . "Last Thing I Needed, First Thing This Morning"